The French artist Nathalie Bles had a nightmare where she fought the Devil. 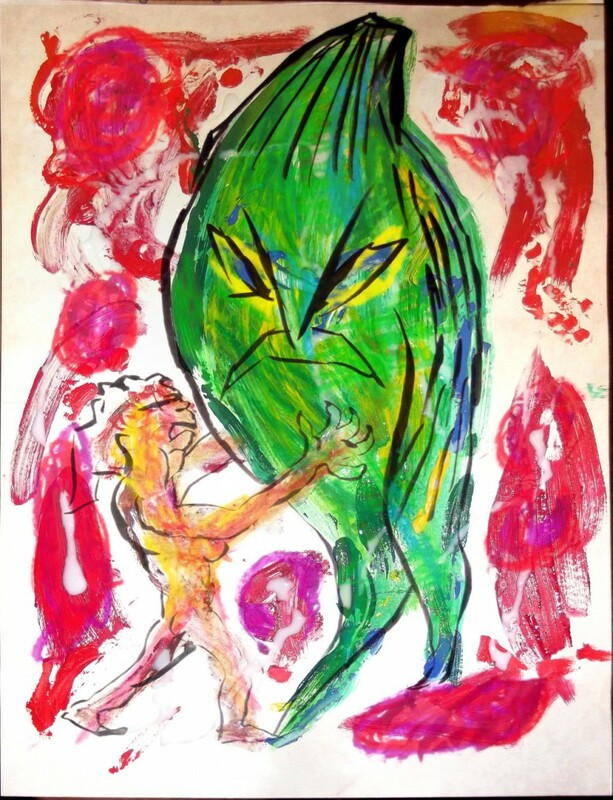 “He was a green vegetable with cold blood bouncing in all directions.” Here is my painting of the incident. Be sure to read the amazing interview with her in The Sound Projector #21. Also a preparatory sketch of same.